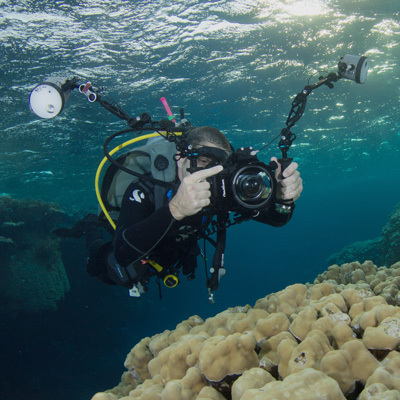 Take a moment to meet your underwater photography instructor Mario Vitalini. After all, everything fishinfocus does is driven by our passion for underwater photography. 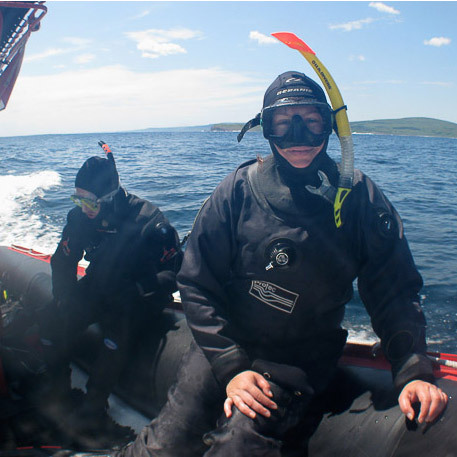 We are keen and active divers, as well as underwater photographers. 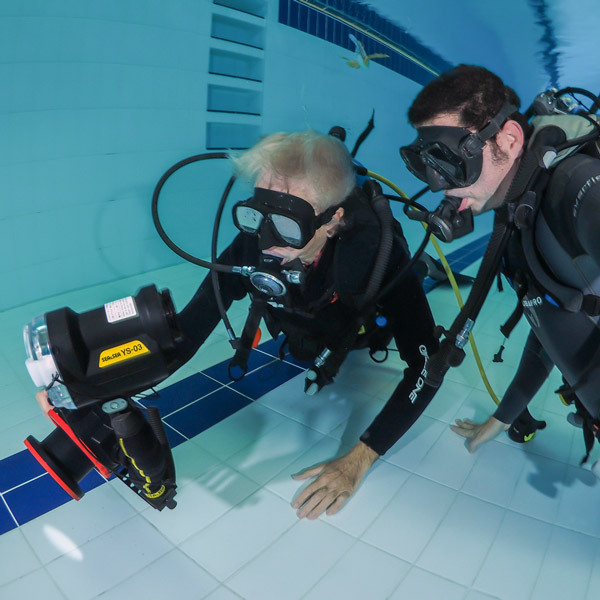 And together we have dedicated over 25 years to working in many aspects of the dive and camera industries. Mario has been involved in photography since his earliest years, having grown up in a professional photo studio! So it was only to be expected that, when he started diving in 1989, he grabbed a Nikonos V and started taking photographs. And has not stopped since! In today’s ever changing digital age, there are few digital cameras on the market that he does not know. His roles at Cameras Underwater and Ocean Leisure Cameras allowed him to indulge in his love for cameras. It was here that he also come to understand the problems many customers face when trying to chose a camera… then trying to work out how to get the most out of it! Currently a PADI Staff Instructor, Mario has taught diving for over a decade. His patient, calm manner and relaxed approach will help you build the confidence to take that camera out of auto mode… and start to discover just what you too can achieve. All pool sessions are held at Surrey Sports Park, Guildford or London School of Diving, Chiswick. This impressive facility has an Olympic pool and is a safe, clam environment. Forget about the world and just practice your underwater photography on our custom built pool reef. Caroline helps out behind the scenes at fishinfocus: organised, enthusiastic and always with a welcoming smile. She is also a keen underwater photographer. Her real passion is macro photography and she is usually most at home trying to photograph the tiniest critters she (or the dive guide!) can find. Monday to Friday, Caroline talks diving as part of the award winning Scuba Travel team.